#1. Leverage the power of intention. If you had a moment of reflection at the end of your life, what questions would you ask yourself to evaluate whether or not you lived a great life? Figure out those questions, then live each day with intention so that you are happy with the answers at the end. This kind of clarity will help you live each day with purposeful intent. #2. Be kind to others. There can be no enduring quality of greatness in someone’s life if kindness is not consistently present. Define greatness on your own terms, and I bet being a jerk is not part of that definition. Seek to be a kind and caring person and others will not only appreciate you, they’ll elevate you and honor you as great. Great people look beyond themselves to help, to lead, to serve other people. Through service we develop that real capacity to reach beyond our own comfort zones and to do something that really matters. What is the difference you want to make? How can you become a great inspiration or leader for others? These questions can put you on track to greatness and #TheChargedLife! Do we actually achieve greatness or is it part of our life long journey? The challenge with talking about greatness is that it invokes notions of a big ego. We don’t like to often talk about ourselves because it sounds like we’re self-congratulatory. However, we need to own our greatness. Honestly, we’re being straight with ourselves. We all want to achieve a life of greatness in some way. We want to be great to our family and friends, and we want to contribute greatly to the world. Here are three defining pillars for reaching greatness as well as an aerial view of what the path looks like. #1. Greatness begins with intention. 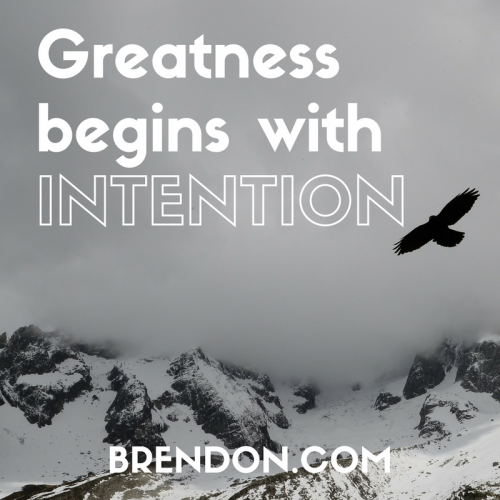 A life of greatness begins with the power of intention. You can’t become great if you don’t have some kind of intention for what that means to you. So, how would you define it for yourself? Looking back on your own life, how would you know if you lived a great life or not? Those questions are my evaluative criteria for my own life. Here’s what my life of greatness looks like: Each day I wake up and I live intentionally so that each day I feel like I’m alive, vibrant and living fully. I take challenges, I take risks, and I’m living my own life. Each day, I feel like I’m loving, connecting and doing something through my heart. Each day, I feel like I’m doing something that matters, something that helps other people, and that makes a contribution. #2. Kindness. No one would ever call somebody great if they were a complete jerk to everybody, right? It’s hard to think of those people we imagine as the great leaders of our time, for example, lacking kindness. You don’t think of Nelson Mandela, Mahatma Gandhi or Martin Luther King, Jr. as jerks. The popular imaginary calls upon their kindness. These are people who were inspiring people because they had compassion, heart and kindness for other people. And I think, kindness is a virtue that’s got lost in our modern society. I think it’s why a lot of people aren’t reaching their full powers of greatness; they’re impatient, short with other people, judgmental, and they are looking for the faults over the assets in others. If you want to live a life of greatness, it starts with kindness. 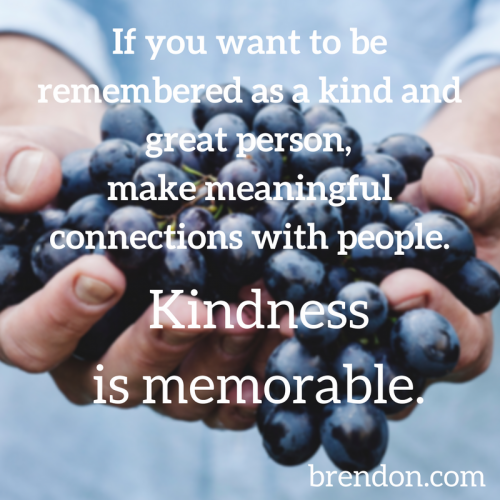 You have to have some kind of connection with other people if you want them to remember you as someone great and kind. Maybe your role model was a grandparent or that teacher who was the greatest teacher you ever had. Think about what made them similar. And I promise they all came from different backgrounds, they had different experiences and different skills. However, I bet they were kind to you and other people. So, maybe evaluate yourself today. How kind have you been with the people around you? Have you been really demonstrating heart? Have you really been being compassionate to others? Have you withheld judgment so that you can give the benefit of the doubt? #3. Service. Great people look beyond themselves to help, to lead, and to serve other people. They weren’t strictly focused on their own greatness or their self. Through service we develop true strength. 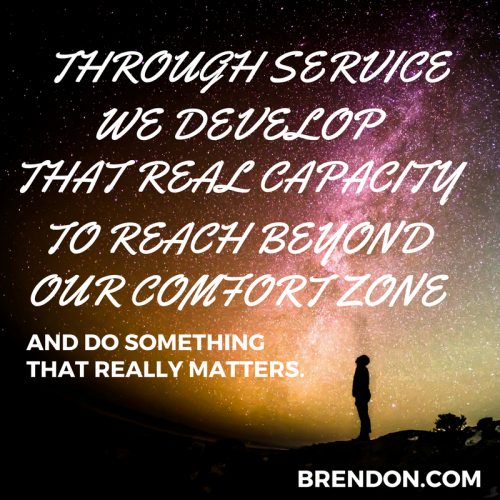 Through service we develop that real capacity to reach beyond our own comfort zones, to do something that really does matter. But the challenge is that, today we live in a very selfish and selfie-focused world. Now, I understand that I’m shooting a video of myself. I get it. But at the end of the day, if you watch any of my videos, I hope that you will sense that I’m always talking about you and your life and your experience and asking you in every single video, podcast, and training, to rate yourself. How have you been doing in the realm of service? Have you been serving with excellence? Have you been really giving, really pushing to contribute things that you’re proud of? Are you focused on the details, really caring about getting things right? Or are you just going through the motions? When we look at the people who achieve greatness, they put their all into it. They were really into mastery of service. They wanted to create the best business, the best product, the best way to serve other people. They wanted to create raving fans, which is reflected in the fact that they obsessed about the service aspect of it. They were out to make a great difference in the world and do it with excellence. 2.Being kind to other people. 3.Leading with service, trying to do great things for great people with great amounts of excellence. So, the question ultimately comes down to: based on all of those things, are you ever achieving greatness, or is it part of everyday life? I hope you can realize that it is part of everyday life. 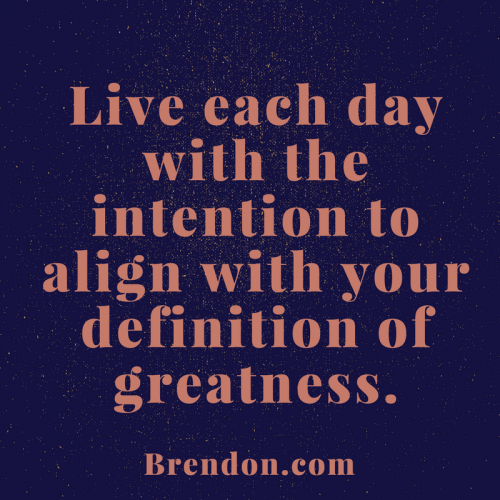 When you wake up with intention and bring intention into the day, you’re more likely to live from your greatest self. Are you actually being kind to other people? Are you actually in that service mindset? If you were doing those things, you are living a great life. It’s not just about stacking up accomplishments throughout your life. It’s how you approach each and every single day; after all, this day could be our last day. These things will help you achieve greatness and live what we call, The Charged Life.